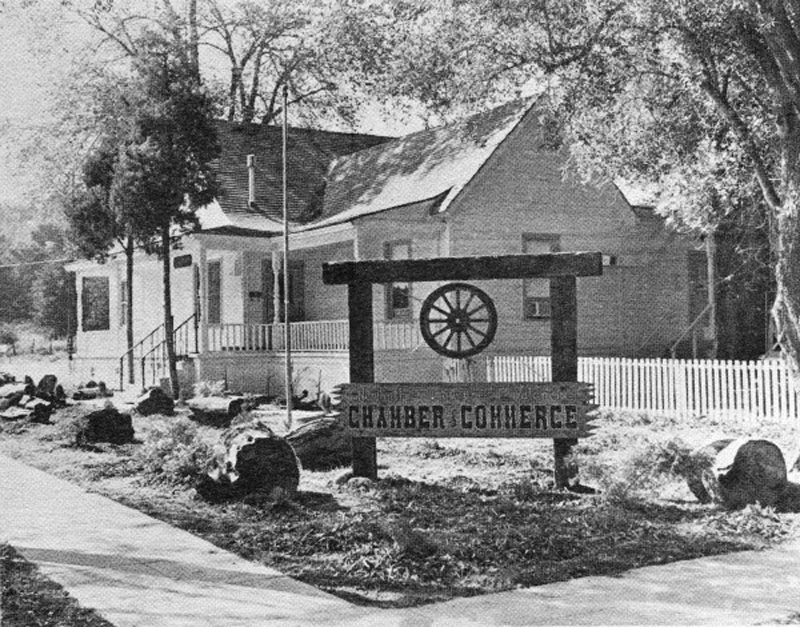 SCVHistory.com | Business | Newhall-Saugus-Valencia Chamber Changes Name to SCV, Irks Canyon Country Chamber, 1980. Canyon Country Chamber President Cries Foul. The Signal | July 2, 1980. Discussed on and off for more than two decades, the Santa Clarita Valley (N-S-V) and Canyon Country chambers of commerce finally merged July 1, 1995, when Gary Johnson was president of the SCV Chamber and Bob Kellar was president of the Canyon Country Chamber. 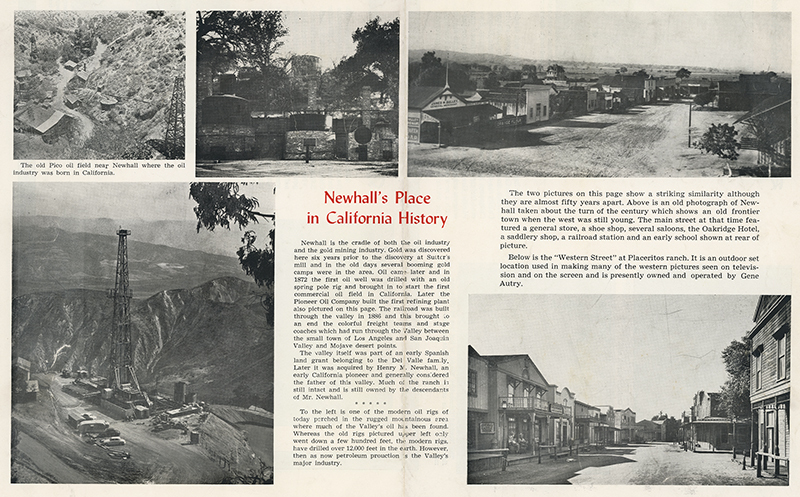 The Newhall Signal and Saugus Enterprise | Wednesday, July 2, 1980. Hereafter the Newhall-Saugus-Valencia Chamber of Commerce shall be titled the Santa Clarita Valley Chamber of Commerce. So spake a majority of voting Chamber members last week. Of the Chamber's 688 members, 280 (40 percent) returned their ballots. And of these, more than 76 percent agreed that the Chamber's name should be changed. The vote, however, did not bring an end to the controversy surrounding the title. "If that's their decision, that's their decision," remarked Bud Brown, president of the Canyon Country Chamber of Commerce and, as such a director of both chambers. Brown has criticized the name change idea since its inception, charging that the valleywide title was inappropriate for the N-S-V chamber. On the other hand, name-change proponents argued the N-S-V Chamber's domain was growing to include so many communities that additional names in the title would be too burdensome. Calling the name change "presumptuous," Brown said adoption of the new title, which is now official, "will damage co-operation in the valley." Discussions in the past about a joint agreement or a merger between the two chambers have met an impasse, Brown said. "We were led down the primrose path," he remarked. "It's an unfortunate action that once we were starting to move together so great of a roadblock was thrown in." Brown said if further merger talks were proposed he would be "totally opposed to it. "It doesn't leave a good taste in my mouth," Brown said of the name change. "I don't feel a gentlemanly action took place." Others launched criticism of the balloting system, which was anonymous yet required voters to sign the envelopes in which ballots were returned. The Signal spoke with no one, however, who doubted the findings of the accounting firm of Condie and George, which tallied the votes. Of the 280 voters, 213 voted yes and 67 voted no. N-S-V Camber president Bob Bardwell expressed surprise at the large turnout among chamber members, 76 of which are members of both local chambers. Bardwell said that formal adoption of the new title is now just a matter of typing up amendments to the chamber's bylaws, amendments which were adopted two months ago by the N-S-V Board of directors and ratified last week by the membership.